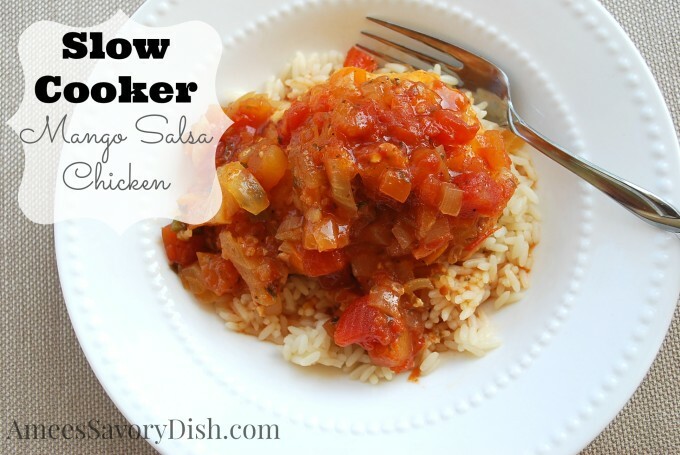 Slow cooker mango salsa chicken is a flavorful, healthy, and easy crockpot dinner recipe. Sweet mango salsa, tender chicken breast and a kick of cayenne for a sweet and spicy meal! 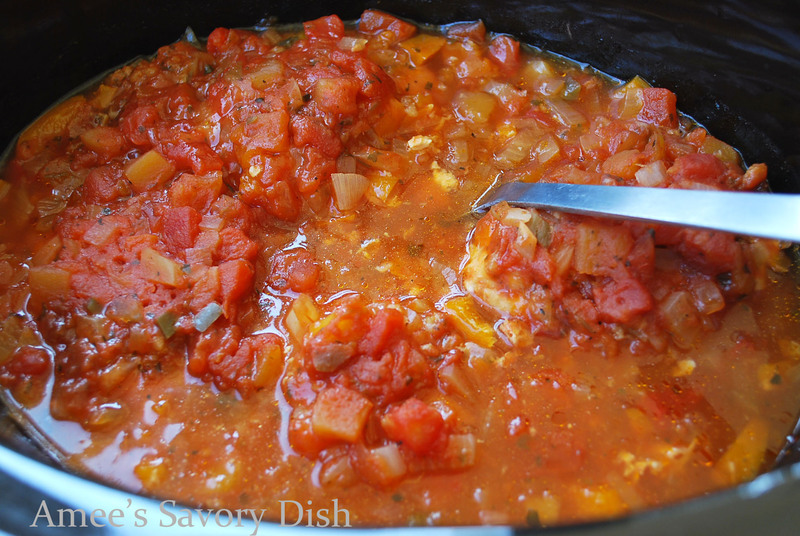 I love this easy-breezy dinner! There is so much flavor and color in this nutritious dish. The convenience of crockpot cooking makes it a favorite for this busy mama! Just add a side of greens and you have a great meal. Assembly couldn’t be easier. 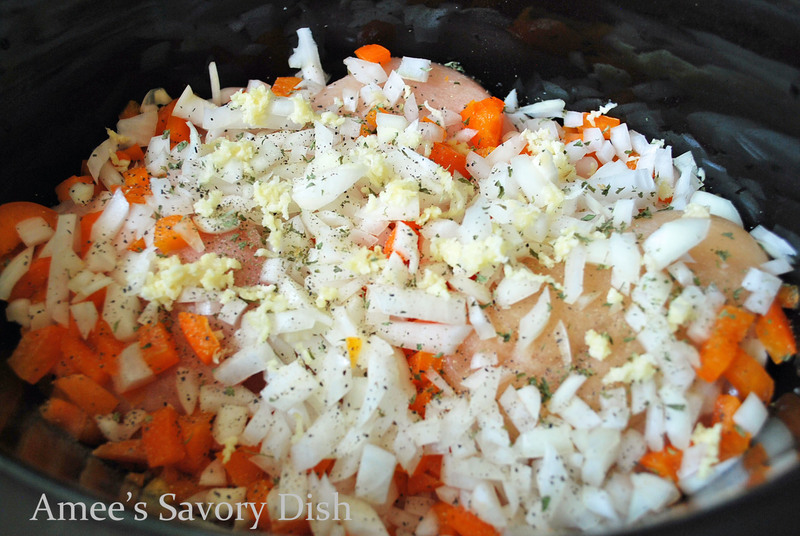 Place chicken breasts in the bottom of your slow cooker, then top with peppers, onions, and garlic. Mix all other ingredients together and pour on top. Cook 5-6 hours on low and switch to warm setting until ready to serve. I like to serve it over steamed rice, or for a healthier option, serve it over greens for a mango salsa chicken salad! 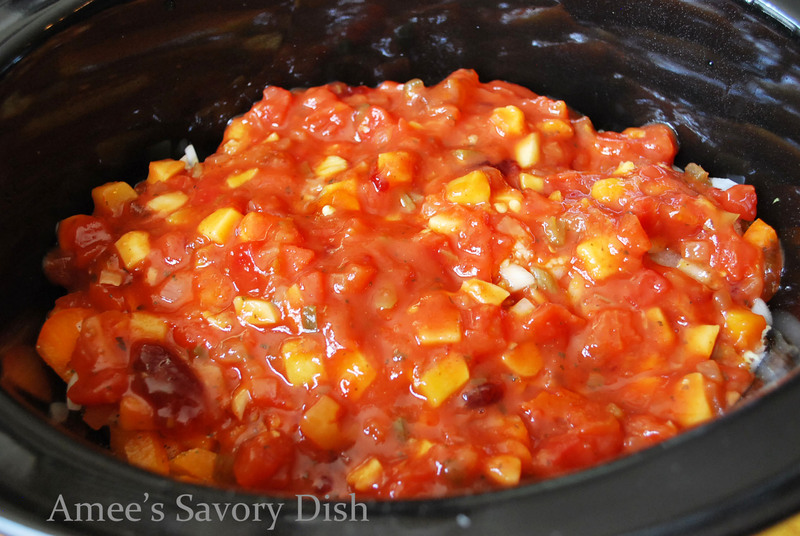 I hope you enjoy this slow cooker mango salsa chicken recipe! This is such an easy to make dinner! The fruit preserves are a great addition for some sweetness. This is going up right now on my crock pot group!